Will Jason Heyward have a breakout postseason for St. Louis? Dallas Keuchel did not allow an earned run in two starts against the Yankees, but he is pitching on three days rest for the first time in his career. That is a risky proposition for the likely AL Cy Young Award winner, while Masahiro Tanaka gets an extra day in between starts. That favors the Yankees, as does the playoff experience against a franchise in the dance for the first time in 10 years. Sentimentally it would be easy to pick the Astros, but something tells me the Yankees will get second life in the playoffs after supposedly “backing in.” Prediction: Yankees, 6-4. Jake Arrieta has been virtually unhittable all season, especially in the second half. He was nearly perfect last week against the Pirates, a scary thought for a Pittsburgh team that was blanked at home in this spot last year by Madison Bumgarner. Gerrit Cole is very good, but Arrieta is Cy Young-worthy and the red-hot Cubs, who come in winners of eight straight, have had Pittsburgh’s number this year in going 11-8. That includes winning three of four a few weeks ago, a series in which Chris Coghlan’s rough slide ended the season of Jung-Ho Kang. This is the Pirates’ third straight year hosting the Wild Card game at PNC Park. Prediction: Cubs, 4-3. The Blue Jays are everyone’s favorite to win it all, including Las Vegas’. Is that warranted? Sure, they score a ton of runs and are white-hot since the trade deadline, but the bullpen is extremely shaky. Fortunately for Toronto, so is the Rangers’. Cole Hamels gives the Rangers a strong shot, but the Jays should at least reach the ALCS even if the heavy expectations are uncharted territory. Beware Yovani Gallardo, who has shut down Toronto this year. Prediction: Blue Jays in 5. Something seems amiss about Kansas City. They were the darlings of baseball last October, but now the hunters are the hunted. The Royals are barely getting by with their starting pitching, despite their dominant bullpen. Losing Greg Holland hurts, but Wade Davis is more than capable, if not better. But the Yankees’ bullpen could be like K.C.’s was last year, utilizing the lethal eight-nine combo of Dellin Betances and Andrew Miller to close out games. Giving the Royals a taste of their own medicine would hardly come as a surprise. Prediction: Yankees in 5. Deep down the Cardinals know the one team that can give them a run for their money in the playoffs is Pittsburgh. So naturally, expect the world to get Cubs-Cardinals, as everything that can go St. Louis’ way this year has, and will continue to. Chicago has played the Redbirds tough of late in winning six of nine, but overall St. Louis won the season series 11-8 and not only has a better starting rotation and bullpen (one that now includes Adam Wainwright, by the way), the Cubs’ offense is far too reliant on the home run. That doesn’t win out against anyone in postseason play, let alone one of the best pitching staffs in recent memory. Prediction: Cardinals in 3. I said the Dodgers were frauds earlier, and I stand by that. The Mets are the younger, hungrier version of the Dodgers with a better bullpen and (slightly) better lineup. Los Angeles is a one-trick pony — actually, Clayton Kershaw and Zack Greinke would qualify as two ponies — with a good closer. Everything in between is inferior to New York, even as the Mets lack playoff experience. Yoenis Cespedes will have an added chip on his shoulder after his trade from Oakland last year robbed him of a chance to play in October and also wrecked a good thing the A’s had going on. Prediction: Mets in 4. Why not have the AL East rivals squaring off with a pennant on the line? The Jays went 13-6 against the Bronx Bombers this year, but a playoff series would be much tighter. To be fair, most of the 19 games were nailbiters, even though the Jays won more than two-thirds of them. The Yankees’ bullpen is the great equalizer to Toronto’s potent offense. Still, maybe this is the Jays’ time, a small window of opportunity those north of the border haven’t had in more than two decades. Prediction: Blue Jays in 6. Remember 2006? Carlos Beltran does, and so does Adam Wainwright. The Mets are a balanced bunch with a young, powerful rotation, but they have yet to pay their dues. The Cardinals will continue the back-and-forth trend with the San Francisco Giants in reigning supreme in the Senior Circuit. Prediction: Cardinals in 5. We have the Jays in this spot almost begrudgingly, because the bottom line is that the National League is the far superior one. The five best pitching staffs in Major League Baseball all reside in the NL, and none is better than that of the Cardinals. That would neutralize the thunderous offense Toronto possesses, even though the American League has homefield advantage in the World Series after winning the All-Star Game. In the battle of the birds, the red ones from the States will trump the blue ones from up north. Prediction: Cardinals in 6. Jason Heyward, OF: I have a strange feeling Heyward is going to have a David Ortiz-like moment in the playoffs. 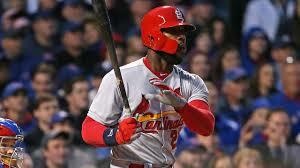 The man that ended up in St. Louis because the tragic passing of Oscar Taveras left a void in the Cardinals’ outfield has been playing at a very high level after a slow start, and could be just as likely to make a memorable October play with his arm than his bat. Be the first to comment on "Our 2015 MLB playoff predictions and analysis"